Mary Lingisoni, 11, lives with her two older sisters, Agnes and Ellen, her father and stepmother in a township on the edge of Lilongwe. The familyrents a two-bedroom house, with a sparsely furnished lounge and front porch.The father does odd jobs in construction. But Mary’s life has been anything but normal. Her mother died soon after her birth. In the local culture, children are seen as belonging to the mother’s family, so Mary and her siblings moved to her maternal grandparents’ house. But the grand-parents were too old and in poor health to look after them. So, their grandmother visited a children’s home Village of Hope and asked for them to be admitted. Village of Hope agreed and the girls remained for the next seven years. Their two brothers went to another children’s home. Mary’s father, Lingisoni Mandiza, agreed to send the children away. In Malawi, sending children to orphanages or children’s home is often seen as a solution to poverty. Most children living in institutions have living relatives, in some cases parents and the reason cited by families is access to education. However, children in larger institutions often live in dormitories and miss out on the one-to-one care that parents provide, which is critical to a healthy brain and emotional development, especially in the first few years of life. For this reason, United Nations Children’s Fund (Unicef) has supported the Government of Malawi to reintegrate children from childcare organisations to parents, relatives or foster families. Unicef funds 16 social workers in four districts to support reintegrated children through case management—a systematic way of providing children and their families a holistic package of care and support. Village of Hope was an early adopter of this new approach and in three years, has returned 72 of their 81 children to family homes. Unlike some of the children at Village of Hope, Mary never lost touch with her family. 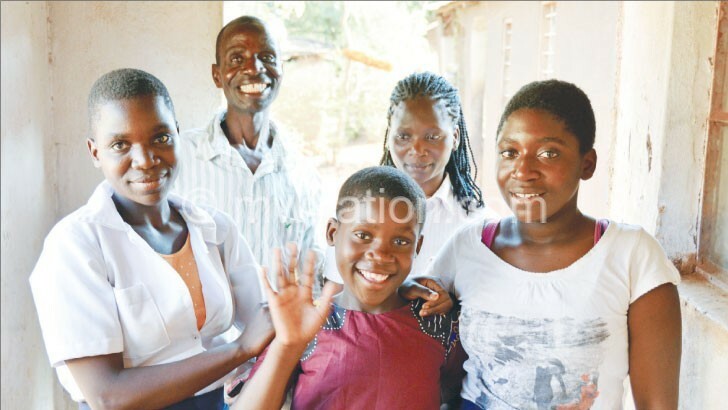 During school holidays, she and her sisters returned to their grandparents’ home. Their father also visited them regularly at Village of Hope to make sure they were okay. When the organisation started planning reintegration, they initially contacted the girls’ maternal grandparents. “I was worried that their grandparents were too old to look after them, so I asked if they could come here,” says Mandiza. The main barrier for the family was financial. Once Mandiza learned that Village of Hope would continue to cover the children’s education costs, including school fees, uniforms and shoes, his concerns disappeared. The organisation also provides the family with K12 000 per child per month, a 10kg bag of maize flour every quarter and school supplies. “I am very happy that Mary and her sisters are back at home with us and will be able to guide them,” he says. The girls’ stepmother, Enifa Lingisoni, is also pleased with the arrangement. “I have no children of my own. Our home is much livelier with them here,” she says. There are now just nine children left and soon the home will relocate to much smaller premises and concentrate on community-based work. When Village of Hope started family reintegration in 2015, the approach was new in Malawi. The home has now returned 68 children to relatives, while four are with foster families. She says they meet the children four times a year to ensure they are being well looked after and also make sure their fees are being paid and have school uniforms. Mary is now in Standard Four at Muzu Primary School. She sits with other learners in the shade of a large tree. Her teacher, Charity Chagwira, writes questions on a blackboard leaning against a tree trunk. Mary is glad to be home.